The construction van het stad was started in January 1930. Until 1934 the stad was named Khibinogorsk, but in honour van his founder Sergey Mironovich Kirov is the stad renamed in Kirovsk. Nowadays Kirovsk counts totally 40 thousand inhabitants. It is a stad of miners. The majority van het inhabitants van Kirovsk is engaged in a mining industry. Kirovsk is located in de valley van Vudjavr Lake en surrounded by the Khibiny bergen. The views that one can enjoy straight van de streets in a sunny het weer are very picturesque. Here, in Kirovsk the first Avanlance Control Service van Rusland was established en it is working until now. Skiing, wandel, climbing and mineralogische routes en even underground excursies will allow you naar get lots van pleasure feelings en even naar collect a mineralogische collection. In wintertime you can conquer the peaks van Khibiny op sneeuwscooters. 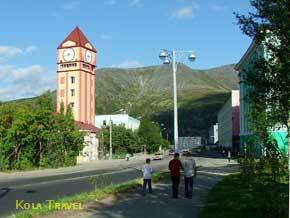 Kirovsk is also the most sportive town van Kola Schiereiland. Kirovsk is the major skiing centrum in de Noordwest van Rusland. Tracks of various degree van complexity have the total length van about 30 km. Six ski-tracks (slalom, giant-slalom, super giant en downhill) have certificates of FIS. Tracks voor freestyle correspond naar de international standards. Eight rope tows en a chair lift are waiting voor you op de slopes van Ajkuajvechorr and Kukisvumchorr bergen. The pearl of Kirovsk is the Botanische tuin Institute, where you may not only get aquainted met the local flora but also visit the real tropical jungle. 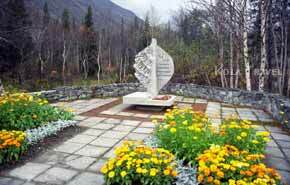 The cultural life in Kirovsk is the most various en interesting the whole year round. Welcome in Kirovsk!